Rotterdam home-based dj/producer Bas Mooy (1976) has been active on many fronts in the techno scene since 1999. Heavily influenced by a city that breaths industrial strength twenty-fourseven, he gradually found his way into creating an unique dark sound, which lead him to the forefront of the European techno scene. In 2002 he kickstarted the already legendary Audio Assault record label with label partner Jeroen Liebregts aka Radial, which resulted in the birth of sublabel Arms one year later. Since then the Audio Assault family built a strong and constantly growing fan-base worldwide, showcasing an impressive catalogue with a constant output of stand out twelve inches, setting the standard for today’s quality dark techno. For many years he has been a member of the Rotterdam underground collective ‘Strictly Techno’, creators of over a hundred legendary parties since 1996. Bas has played at many ‘top of the bill’ clubs and festivals around the globe and is a regular guest at the highly respected Awakenings parties in Holland. 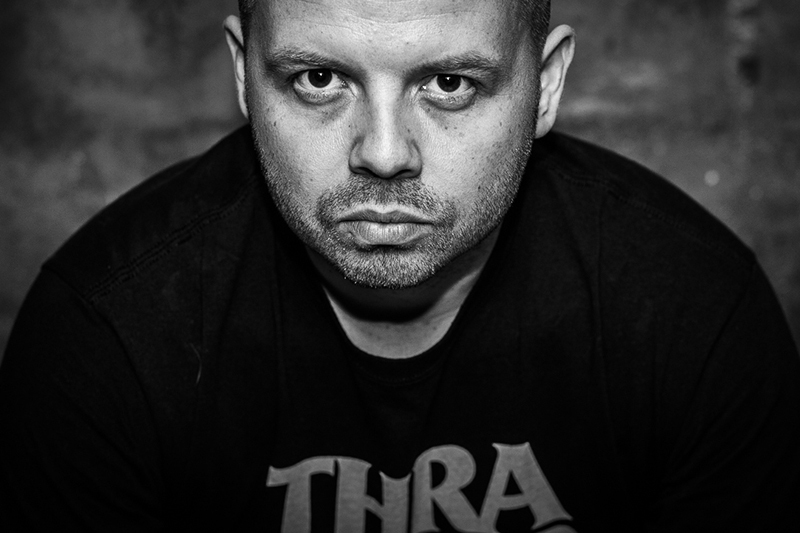 Over the years Bas has been a hard working and devoted producer, spending many hours in the studio and putting out music on respected labels such as Mote Evolver, Perc Trax, CLR, Sleaze Records, Planet Rhythm and of course his own imprints Audio Assault and Mord. With the current rise of Mord, Bas shows no sign of slowing down!